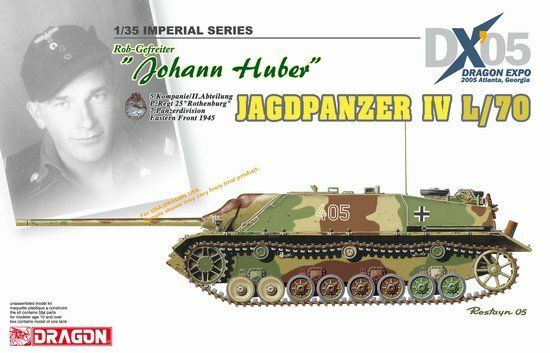 One of the VIP guests at the recent Dragon Expo 05 was Johann Huber, a German tank gunner during World War II. 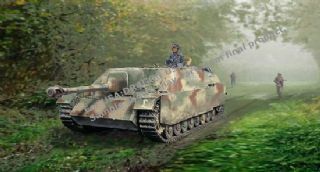 This release features the particular vehicle Huber served in with 5.Kompanie/II.Abteilung, PzRegt 25 “Rothenburg”, of the 7th Panzer Division. 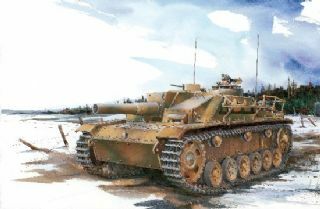 This tank fought on the Eastern Front in 1945 as the Russians tightened their stranglehold on Germany. As befitting any Dragon 1/35 kit release, this item features the inclusion of such bonus items as an aluminum barrel for the 75mm PaK42 L/70 gun, and photo etched parts for the side skirts.